The Neo-Classic style was born in France and Italy in mid-18th century and emerged later in the Baroque and Rococo movements. This movement uses the shapes from the Greek-Latin Ancient Times adding the elements of the place and time in which the projects were carried out. Neo-Classicism is characterized by simplicity and sobriety in the architectonic shapes, such the columns that lie over pedestals to give them height and elegance. The frontons offer harmonic proportions; the curve lines give way to the rectilinear lines, the symmetry and severity of the geometry have been respected and generalized. Neo-Classicism started to develop in Buenos Aires among architects at the beginning of the 19th century. It is worth noting that this style arrived in the Argentine capital city very quickly, soon after it disappeared in the European capital cities. Buenos Aires Cathedral, finished in 1791 and located at the Plaza de Mayo, is a Neo-Classic monument. Its profile does not fit a religious monument as it has no towers and resembles more a Greek temple than a typical Catholic church. From the outside, the Cathedral resembles the National Assembly of Paris with a gate made in a French manner. It is made of a two-column Corinthian fronton that symbolizes the twelve apostles, and a bas-relief representing the meeting between Jacob and the son of Egypt. 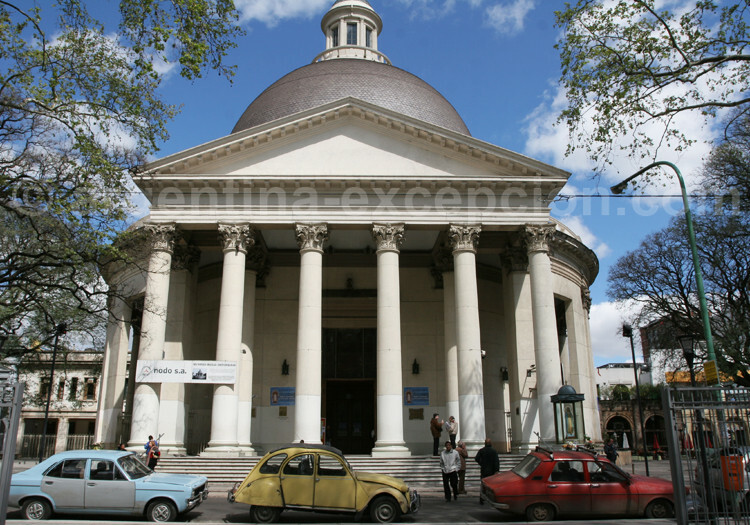 It has colonial style inside and has five naves and at the intersection, you will find a dome leaning against drums which gets up to 41m high. From the right-side nave, you can enter the mausoleum with the remains of the Liberator José de San Martín, a piece of art made by French Sculptor Carrier Belleuse. It pays a special tribute to this national hero with Argentine army grenadiers that keep watch over the tomb. 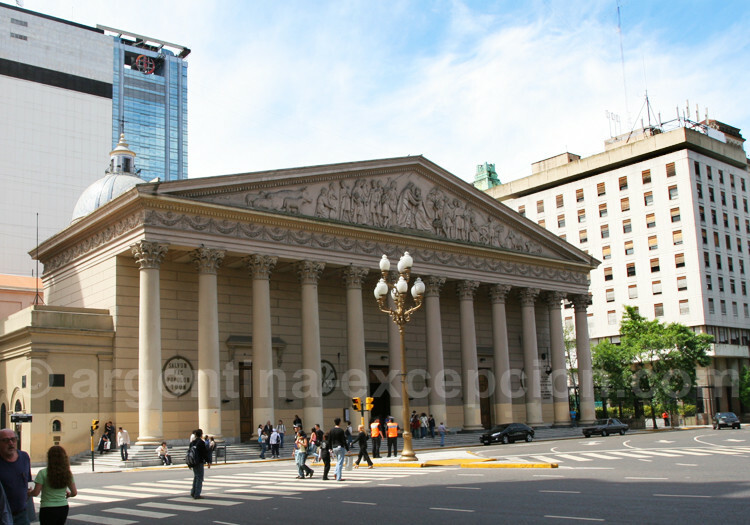 This monument was the former Colón Theatre from 1857 through 1888 and was turned into the offices of the Banco de la Nación Argentina in 1940. 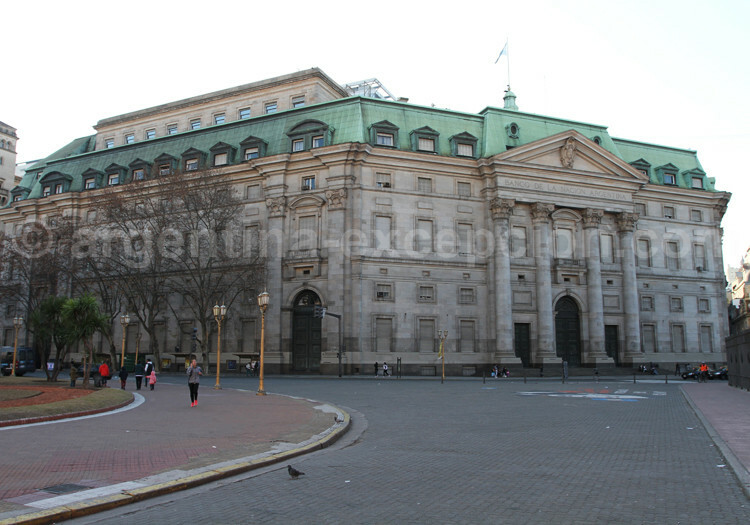 It was designed by French Architect Alexandre Bustillo upon request of President Carlos Pellegrini and it is located at Plaza de Mayo, very near Casa Rosada. The bank, crowned with one of the biggest domes in the world (50 m diameter and 30 m high), shelters a historic museum inside, 5 km of corridors, 1,500 doors and 925 synchronized clocks. 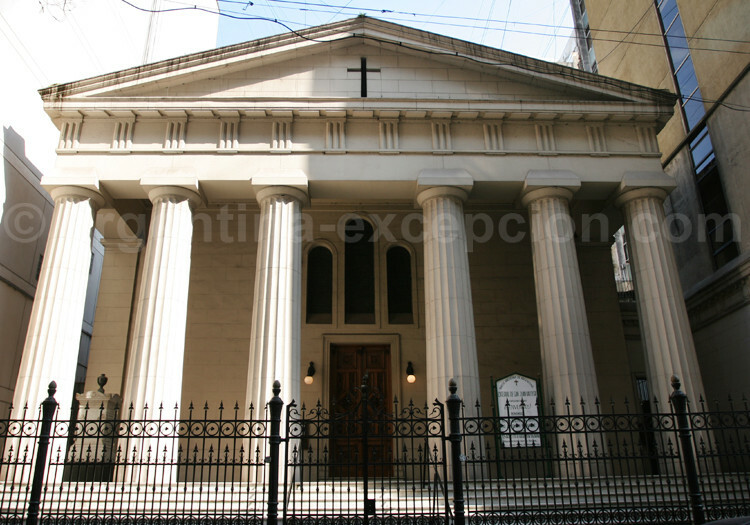 This English temple is still erected on 25 de Mayo Street and it was built in 1830. It is an extremely enclosed building in a very narrow piece of land which still preserves its noble Doric columns despite their weird perspective and the constructions enclosing them. Its central row is more open than the other four and it is one of its distinctive features. The staircase serves as a basis for the building and a well-detailed architrave over which the frieze rests. Small-sized but with slight heaviness, the monument preserves its austere appearance.